What if you live with two people in one body, and only one of you can control it? What if one of the two has to die, but refuses to? That’s the situation Allie and Eva are in. Eva is the recessive soul, and she was supposed to disappear when they were five. But she weakened but didn’t disappear, so they faked it. In a society where being hybrid is the highest crime, they are both in danger. Especially when they meet another hybrids, who can help Eva to get just as strong as Allie is. I absolutely loved the concept of two beings in one body. It brings a massive list of complications. Who should be in charge? What if you both want different things? What if the two of you can’t stand each other? And of course, what if you fall in love with someone your other soul doesn’t like? It took me a while to get used to the writing in What’s Left of Me. Every time Allie and Eva’s body does something it gets described as “we scratched out nose” and “we walked down the road”. I had a hard time getting used to them using a plural personal pronoun, even though considering the story it fits perfectly. The “we” and “us” thing was consequently used throughout the story, which was a very nice touch, even though it complicated reading a bit at first. I very much liked Eva and Allie. They’re both in a tough situation, and both of them deal with it differently. It was great to see that they actually had different personalities, and weren’t just twice the same person. Eva is more of an action kind of person, while Allie likes to observe first. Together they made a great team, although their cooperation isn’t flawless. 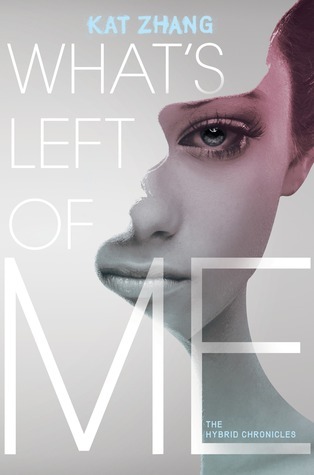 What’s Left of Me was an interesting twist on the omnipresent dystopian genre. It has the standard dystopian tropes like American centered with the rest of the world non-existing, a government that’s pure evil and hides awful stuff from its people, outcast rebels that go against said government. The fact that it still adheres to concepts that are so common in dystopian books is why I think it’s a great book, not a perfect one. 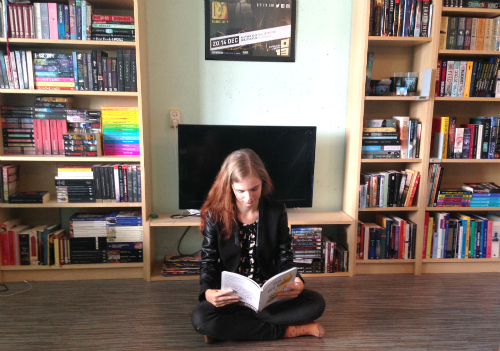 I’d love to read the next book in the series to see if it differentiates some more from the genre slush pile. The Hybrid Chronicles definitely have potential to become an amazing series.